PLEASE NOTE: This is to order a Dot Reveal that you would like your Boutique Partner to open LIVE, either on social media or in person. Your Boutique Partner will ship your Dot Reveal to you seperate from your order. 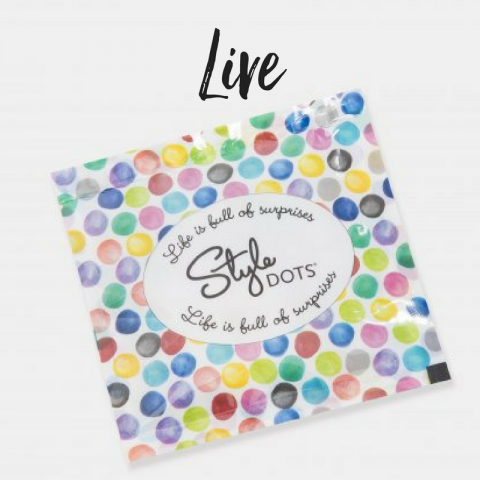 Our Dot Reveals are surprise exclusive Dots packaged with a lot of fun and intrigue! We know you'll be pleasantly surprised when the contents are revealed!